Obituary – Briegge, Carolyn Janiece (Wood) « Perry High School Alumni Association, Inc.
﻿Sr. Class Secretary ’62-’63, Homeroom Vice President ’60-’61, Homeroom Treasurer ’61-’62, Junior Play ’61-’62, English Assembly ’60-’61, Spanish Assembly ’60-’61, Band Assembly ’60-’61, Office Staff ’61-’63, Annual Staff ’62-’63, Annual Asst. Business Manager ’62-’63, Band ’60-’63, F.T.A. ’60-’63, Band Ensemble ’61-’62 , Glee Club ’60-’62, Basketball Queen Attendant ’61-’62, Christmas Vespers ’60-’62, All School Review ’60-’62. Carolyn Janiece Briegge, 63, of Perry, Oklahoma, was the daughter of Gene Charles and Dorothy Jean Hull Wood. She was born on September 21, 1945 in Perry, Oklahoma and died Saturday, November 8, 2008 at Perry Memorial Hospital. Carolyn was a 1963 graduate of Perry High School. On December 4, 1992, Carolyn married Clayton Gene Briegge in Arlington, Texas. He preceded her in death on February 1, 2006. 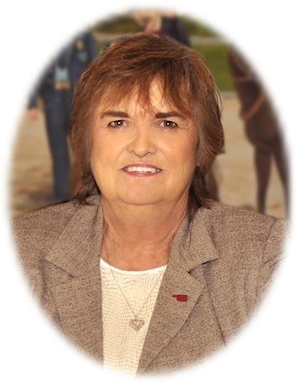 Carolyn was the Executive Director of the Perry Chamber of Commerce for seven years. She helped create the OK Gateway Alliance and served as secretary. Carolyn helped lead the I-35 Corridor Project which included Perry, Tonkawa and Blackwell. This project helped promote our communities along I-35. Carolyn was in the 2004 inaugural class of Leadership Noble County and was still very active in the program. She was also honored as Perry’s Citizen of the Year in 2004. She was a member of the First Presbyterian Church and the Oklahoma Chamber of Commerce; was a member and past president of the Perry Noon Lions Club, was chairman of the Gene Wood Memorial Easter Egg Hunt, served as a board member of the Oklahoma Chamber of Commerce Executives, was a member of the Oklahoma Economic Development Council, served as a trustee for the Perry Economic Development Authority, served on the board of the Perry Information Network and served on the board of directors for Habitat for Humanity. Memorial services will be 2:00 p.m. Thursday, November 13, 2008 at the First Presbyterian Church in Perry. Rick Rhodes will officiate. Services are under the direction of Brown-Dugger Funeral Home in Perry. Memorials may be made to the Perry Noon Lions Club in care of Brown-Dugger Funeral Home, 1010 N. 7th Street, Perry, Oklahoma 73077. 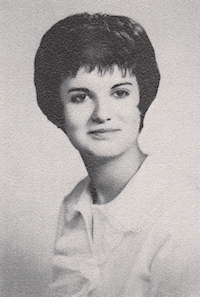 Carolyn is survived by her mother, Dorothy Wood of Perry, Oklahoma; one brother, Larry Wood and his wife, Debbie, of Garland, Texas; one son, Clay Briegge and his wife, Carol, of Perry, Oklahoma; one daughter, Deena Rudd and her husband, Roger, of Stillwater, Oklahoma; seven grandchildren, Whitney Rudd, Alex Rudd, Kelby Rudd and Karsyn Rudd, all of Stillwater, Oklahoma, Ashlyn Briegge, Kaytlyn Briegge and Austin Allen, all of Perry, Oklahoma; a special friend, Jeri Briegge of Perry, Oklahoma; and a close group of first cousins, Glenda and Manuel Terronez of Perry, Oklahoma, Ronald and Teressa Russell of Enid, Oklahoma, Judy and Charlie Patak of Garber, Oklahoma, Tom Sosbee of Edmond, Oklahoma; and Paula Sosbee of Norman, Oklahoma. She was preceded in death by her husband, Gene Briegge, father, Gene Wood and her paternal and maternal grandparents.